“Canonical today announced the release of Ubuntu 17.10 featuring a new GNOME desktop on Wayland, and new versions of KDE, MATE and Budgie to suit a wide range of tastes. On the cloud, 17.10 brings Kubernetes 1.8 for hyper-elastic container operations, and minimal base images for containers. 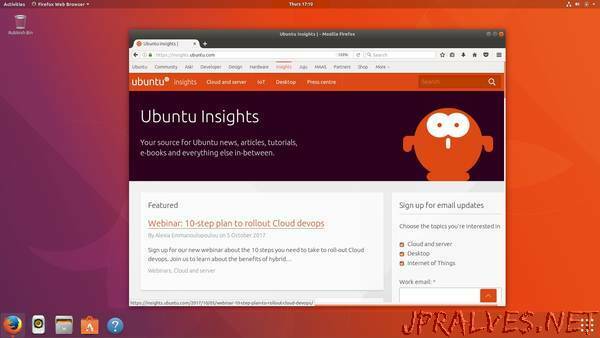 This is the 27th release of Ubuntu, the world’s most widely used Linux, and forms the baseline for features in the upcoming Long Term Support enterprise-class release in April 2018.